A terracotta head created by the Nok culture, one of ancient West Africa's most advanced civilizations, emerges at a dig site near Janjala, Nigeria. In 1943, British archaeologist Bernard Fagg received a visitor in the central Nigerian town of Jos, where he had spent the previous few years gathering and classifying ancient artifacts found on a rugged plateau. The visitor carried a terracotta head that, he said, had been perched atop a scarecrow in a nearby yam field. Fagg was intrigued. The piece resembled a terracotta monkey head he had seen a few years earlier, and neither piece matched the artifacts of any known ancient African civilization. Fagg, a man of boundless curiosity and energy, traveled across central Nigeria looking for similar artifacts. As he recounted later, Fagg discovered local people had been finding terracottas in odd places for years—buried under a hockey field, perched on a rocky hilltop, protruding from piles of gravel released by power-hoses in tin mining. He set up shop in a whitewashed cottage that still stands outside the village of Nok and soon gathered nearly 200 terracottas through purchase, persuasion, and his own excavations. Soil analysis from the spots where the artifacts were found dated them to around 500 B.C. This seemed impossible since the type of complex societies that would have produced such works were not supposed to have existed in West Africa that early. But when Fagg subjected plant matter found embedded in the terracotta to the then-new technique of radiocarbon dating, the dates ranged from 440 B.C. to A.D. 200. He later dated the scarecrow head—now called the Jemaa Head after the village where it was found—to about 500 B.C. using a process called thermoluminescence which gauges the time since baked clay was fired. Through a combination of luck, legwork, and new dating techniques, Fagg and his collaborators had apparently discovered a hitherto unknown civilization, which he named Nok. One excavation site, near the village of Taruga, revealed something else Fagg had not expected: iron furnaces. He found 13 such furnaces, and terracotta figurines were in such close association—inside the furnaces and around them—that he postulated the terracottas were objects of worship to aid blacksmithing and smelting. Carbon dating of charcoal inside the furnaces revealed dates as far back as 280 B.C., giving Nok the earliest dates for iron smelting in sub-Saharan Africa up to that time. The high number of smelters and quantity of terracottas suggested he had found evidence of a dense, settled population. For more than 2,000 years since the start of the Nok period, Nigerians have been building stone house bases like this one. Thus, in short order, Fagg had discovered some of the key markers of an advanced civilization: refined art and organized worship, metal smelting, and sufficient population to support these activities. But he knew such a society did not appear in isolation. Fagg, now back at Oxford University in England, wrote that Nok culture had almost certainly begun earlier and survived longer than he had evidence for at the time. "It was the product of a mature tradition," he wrote, "with the probability of a long antecedent history, of which as yet, no trace has been found." After 40 years of doing little archaeological exploration in the area, scholars are now returning to the scrubby, hilly lands where Fagg worked and are finding that, indeed, the Nok thrived for longer than he had realized. They may have been the first complex civilization in West Africa, existing from at least 900 B.C. to about A.D. 200. Their terracottas are now some of the most iconic ancient objects from Africa. And they may be the first society in Africa south of the Sahara to smelt iron, although at least half a dozen competitors for that title have surfaced since Fagg first excavated a Nok furnace. Nigeria has a reputation for chaos, corruption, and expensive visas that has kept archaeologists away and drastically slowed the pace of research. In 1959, anthropologist George Murdock quipped that for every ton of earth moved by archaeologists on the Nile, a teaspoon is moved on the Niger. 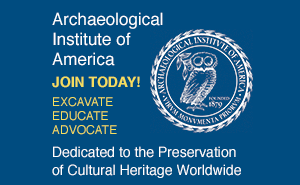 Scholarship has also been hampered by an almost 40-year campaign of looting at Nok sites fed by the growing appetite for African antiquities among collectors in the United States and Europe. "No one continued with the work of Bernard Fagg. Instead of scientific exploration, the Nok became a victim of illegal digging and international art dealers," says Peter Breunig, of the Johann Wolfgang Goethe University in Frankfurt, Germany. Looting tapered off after about 2005 because of tighter export restrictions and a glut of fakes that frightened off collectors. Now, interest in Iron Age societies in Africa is surging as archaeologists contemplate a wide-open field that could hold essential insights into how technologies—especially iron—spread across continents. Breunig and his colleague Nicole Rupp are leading a team of German and Nigerian researchers, students, and even former looters excavating sites over some 150 square miles in central Nigeria, about two hours' drive north of the capital, Abuja. Their study area is but a microcosm of the Nok world, which covered more than 30,000 square miles, an area the size of Portugal. On a black granite mountain towering over the savannah, Rupp and her team are digging neat trenches at the summit. Within minutes, they start to find pottery sherds, grinding stones, and fragments of red terracotta sculpture of the type first found by Fagg. Within an hour, the excavators have filled three big Ziploc bags with artifacts. Among them is a terracotta arm broken off of a larger statue. Its coarse, grainy surface and realistic modeling immediately identify it as distinctively Nok. In his classic survey of African art, Frank Willett wrote that the Nok created Africa's earliest sculptural tradition outside of Egypt. Like their contemporaries, the soldier-builders of Xian, China, the Nok mastered the almost limitless sculptural possibilities of terracotta. With it they created figures depicting illness, warfare, love, and music. For example, Rupp and Breunig's team has found a sculpture of a man and woman kneeling in front of each other, their arms wrapped around each other in a loving embrace, and also several bare-buttocked prisoners with ropes around their necks and waists. Another figure, which has a skull for a head and wears an amulet around his neck, is shaking two instruments resembling maracas. There is also a figure of a man with a wispy moustache, mouth open, as if in speech or song, and one of a man playing a drum resting between his legs, possibly the earliest depiction of musical performance in sub-Saharan Africa. At one site, Breunig and Rupp found 1,700 pieces of terracotta in barely 450 square yards, indicating a large population. Despite the thematic variety, Nok terracotta has some characteristics that persist over hundreds of square miles and centuries of production. Figures almost always show large-headed people with almond-shaped eyes and parted lips. They often have grand headdresses or hairdos, which may indicate high status. A common pose, and one much imitated by forgers, shows a man sitting with his arms resting on his knees, gazing outward. Microscopic inspection of the clay used in the terracotta shows it to be remarkably uniform over the whole Nok area, suggesting that the clay came from a single, yet-undiscovered source. It could, says Breunig, support the idea of a unified Nok state or central authority of some kind. "The homogeneity of the clay used for terracotta might indicate centralized production. But other interpretations, including the concentration of skilled specialists, are no less probable at the moment," says Breunig. "I think there was a set of respected, central rules that were enforced either through authorities, or through common beliefs, or both." The triangular eyes and parted lips of this Nok terracotta figurine are characteristic of an artistic style that endured for millennia even after the Nok culture disappeared. This one may represent a deity, an ancestor, or be a portrait. Rupp agrees. "When you look at a piece like this," she says, referring to the just-discovered arm, "you can see that the Nok were experts at making terracotta. There was a specialized, creative class." There may have been a kind of terracotta "guild," which, if true, would suggest the Nok had well-developed class hierarchy, she adds. Breunig and Rupp have found about 20 iron implements, including fearsome spear points, bracelets, and small knives, most of which are fairly crude-looking. How and when Africans developed iron is important because metallurgy is considered a crucial marker in the shift to complex societies. Manufacturing metal means better tools for farming, hunting, and preparing food, as well as better weapons for waging war and gaining resources. Yet whether metal-working creates the conditions for civilization to flourish or vice versa remains an open question for archaeologists. Carbon dating on charcoal that Breunig gathered from a Nok iron smelter at a site called Intini yielded a date of between 519 and 410 B.C., suggesting that iron technology was established earlier than previous scholars, including Fagg, had realized. These may not be the oldest smelters in sub-Saharan Africa, however. French archaeologists have located evidence of iron-smelting in the Termit Hills of Niger from as early as 1400 B.C., but critics point out that the wood used for dating could have been centuries old, a problem that dogs carbon dating, especially in very arid places such as Niger, where the wood desiccates and lasts longer. Breunig acknowledges that the problem could distort dates for the Intini furnace as well. But he has an important piece of evidence—Nok pottery, found inside the furnace alongside the charcoal, suggesting that they were placed there around the same time. As a result of his research, Breunig has been able to isolate a moment in time when iron and stone implements coexisted. Excavators regularly find iron tools only a short distance from Nok stone axes, suggesting they were used in the same communities, maybe even the same households. "When iron first develops, it might be too rare or too costly to be wasted on axes or other things that you can make with stone," he says. "Our hypothesis is that iron tools replaced stone tools only after the technology was developed enough to deliver sufficient quantities of iron. The Nok is an almost perfect culture on which to test this assumption." At Nok sites, metal tools made around 500 B.C. have been found alongside stone tools, attesting to the manufacture of iron while stone was still being used. Breunig's evidence has also reinforced a view held by most archaeologists that ancient West Africans moved from stone tools directly to iron, without an intervening copper age. That's a leap that few other parts of the world appear to have made. With the exception of a site in Mauritania known as Grotte aux Chauves-souris, where, starting in 1968, French archaeologists found copper tools and furnaces dating from 800 to 200 B.C., and another in Niger called Cuivre II, excavated by French archaeologists in the 1980s and dating from slightly earlier, researchers have yet to find evidence of copper smelting before iron smelting anywhere in West Africa. Its transition from Stone Age to Iron Age has puzzled researchers since Western European and North African cultures moved into iron after first smelting copper for a millennium or so (while others, such as those in Peru, made copper for centuries without ever developing iron). "In the sense of a progression of technological periods, with few exceptions, there was not a Copper Age between the Stone and Iron ages in West Africa," says Tom Fenn, an expert on African metallurgy at the University of Arizona. Iron technology was probably brought across the Sahara by travelers from North Africa, says Rod McIntosh, an African specialist at Yale University. But archaeologists are looking at the possibility that West Africans developed iron-working technology autonomously, possibly starting with the Nok. Iron technology, and whether it was imported from across the Sahara or developed in West Africa, is currently a red-hot topic in the scholarly community. Skeptics of autonomous development are accused of denigrating the achievements of African technology, whereas believers are accused of lacking hard evidence. "It has become a political debate," says Breunig. He will not commit to one side of the argument over the other before he excavates more Nok smelters, which he plans to do with a French archaeometallurgist next year. One skeptic is Rüdiger Krause, a European Iron Age expert at Goethe University. "When people see that somebody else has better technology, it moves very fast. And iron knives are much better than stone. You can sharpen them," he says. "Mobility was very high in the ancient world. From the north coast of Africa to Nigeria is not a great distance for the movement of a new technology." Archaeologist Peter Breunig visits the family of a team member near the excavation site. Little is understood about how Nok society ended. Sometime after A.D. 200, the once-thriving Nok population declined, as attested to by a sharp drop in the volume of pottery and terracotta in soil layers corresponding to those years. Overexploitation of natural resources and a heavy reliance on charcoal may have played a role, says Breunig. Even more puzzling is Nok's legacy to later cultures. Art historians have long seen Nok as an isolated phenomenon, a splendid relic cut off from the sequence of African art over the next two millennia. Later civilizations in southern Nigeria had advanced metalworking skills and a tradition of naturalistic portraiture, and art historians are looking more closely at what they might owe to Nok. The most celebrated of these later cultures was Ife (pronounced EE-feh), whose people in southwestern Nigeria turned bronze into stunning portrait heads around A.D. 1300. "We would need more research to establish a stylistic continuum between Nok and Ife," says Musa Hambolu, research director at Nigeria's National Commission for Museums and Monuments in Abuja. "To do this would require more detailed study of Nok sculptures because, for now, the evidence is very fragmentary." Bernard Fagg wrestled with this question—where did Nok culture come from, and where did it go? He wrote about the "striking similarities of style and subject matter" between Nok and Ife but acknowledged there was no proof the people of Ife had ever seen Nok terracottas. Now Breunig is trying to solve that riddle. "In the space of 1,000 years, West Africa moved from sedentary farming complexes like Nok to great empires, [such as Ife and Benin]," he says. "No society is completely isolated in time. That's a story we're starting to tell." 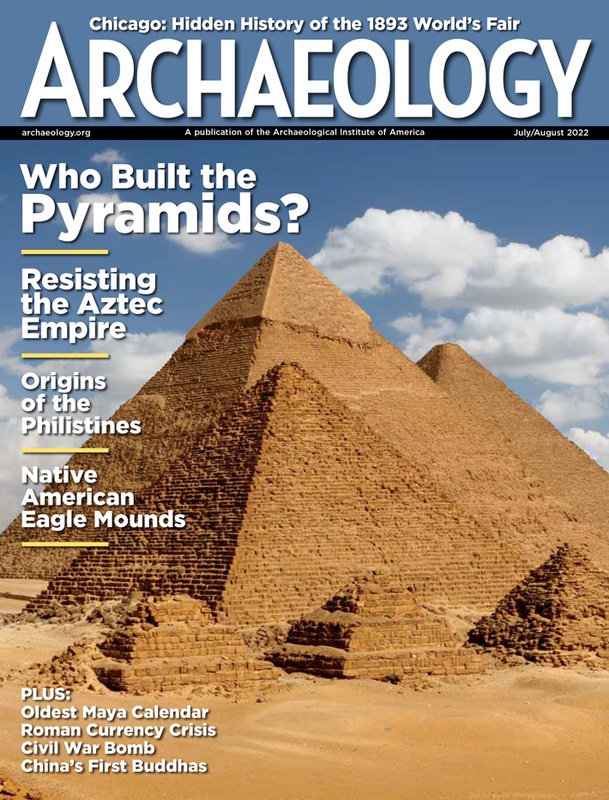 Roger Atwood is a contributing editor to ARCHAEOLOGY. He currently lives in London.